Happy Easter Long Weekend! 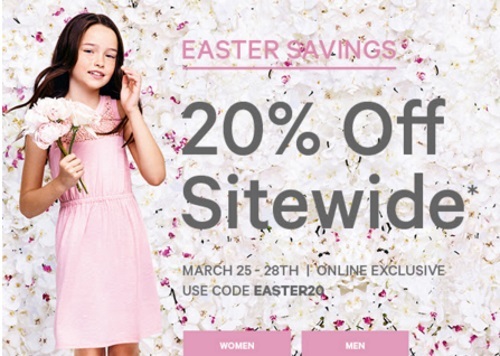 Joe Fresh is offering 20% off sitewide! Enter the promo code EASTER20 at checkout. Offer is valid exclusively online March 25-28 2016.